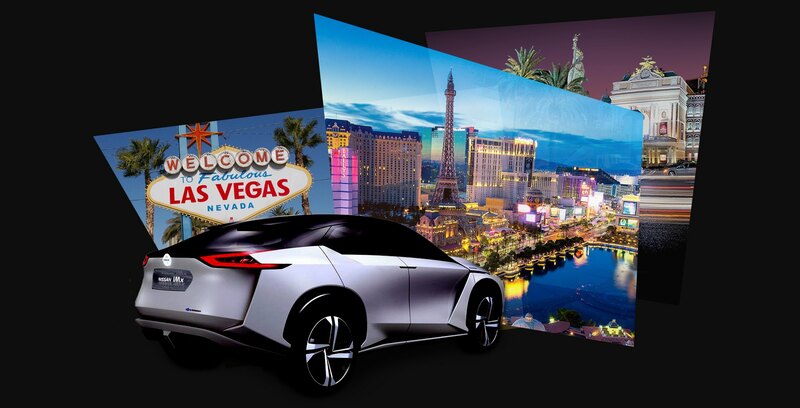 If your job involves technology discovery and development, boundary pushing and future thinking, then you should be at CES (the Consumer Electronics Show) in Las Vegas every year – but you shouldn’t expect too many surprises. 2018’s tech megashow brought us a raft of self-driving vehicles, health monitoring devices, bendy screens and some truly awful robots, while everything was artificially intelligent – even when it wasn’t. AR (Augmented Reality) headsets were everywhere, many rip-offs of products already on the market, others showing promise, if not content. VR (Virtual Reality) was mainly tucked around the back because it wasn’t the shiny new thing it had been at previous shows. Undoubtedly a lot of the technology on display at CES is competent. The connected washing machines are quite capable of cleaning clothes and the drones all fly up, down and spin around a bit. But there’s not enough evidence of pioneering spirit and creative technology. This is Vegas, where anything is possible, so we should be encouraged to reach for the skies and conquer our technological and physical limitations, realise our dreams as individuals and for society as a whole. So the balance is wrong, because the dreams are missing, or fail to be highlighted. CES should feel more like a world trade expo, or emulate the passion and drama of Goodwood Festival of Speed. A bunch of corporate keynotes, delivering little more than the latest mobile phone evolution or a range of kitchen appliances is just not good enough. In an age where we have access to almost everything digitally, these physical shows need to demonstrate why they add value – by delivering a show. Not all is lost. There was a jetpack, some (slow) self-driving vehicles, and Netflix spoofed a ‘human growth chamber’, showcasing the lab-grown spare bodies from their new series Altered Carbon. At least that’s positive. But much much more of this please. And far fewer washing machines.